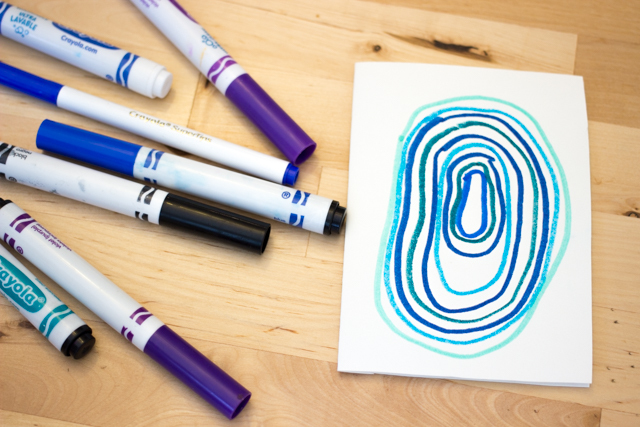 Grab your washable markers (yup! 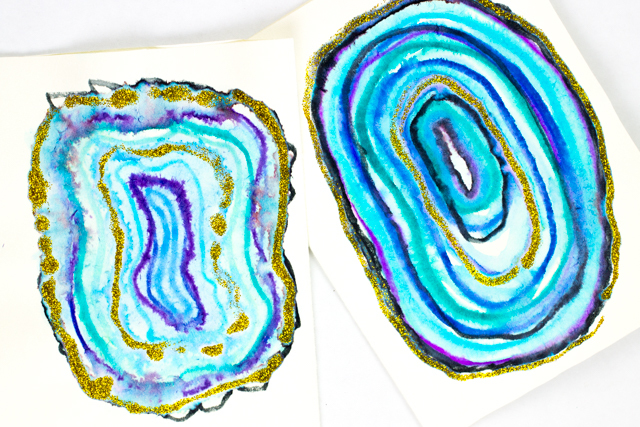 That's the trick) and draw a whole bunch geode-esque loops one inside of another. 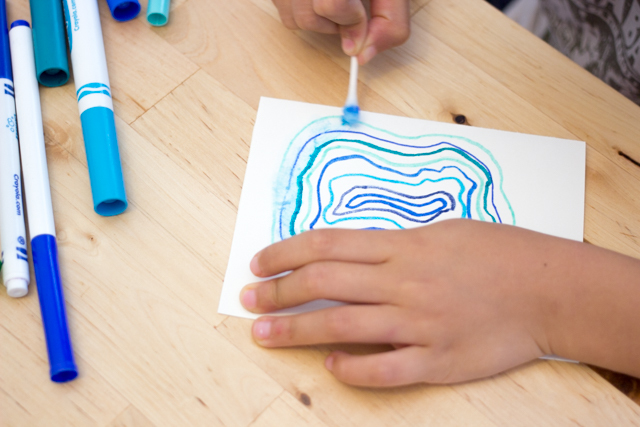 Grab a Q-tip and begin wetting your paper to make the marker colors bleed. The effect is really beautiful and almost watercolor-esque. 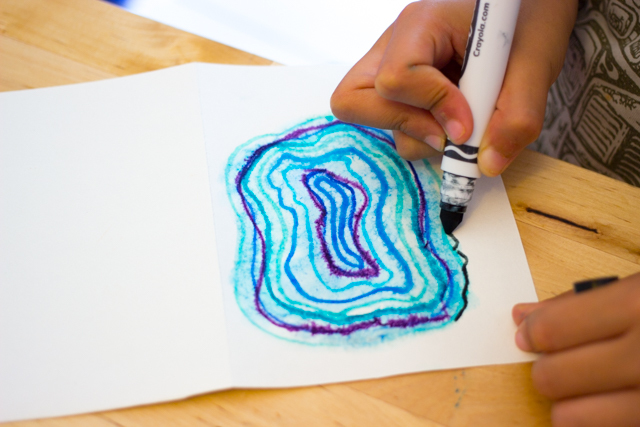 Then, while the paper is still wet, grab some other colored markers and trace over your design. This will give you an even lovelier blurry edge look. 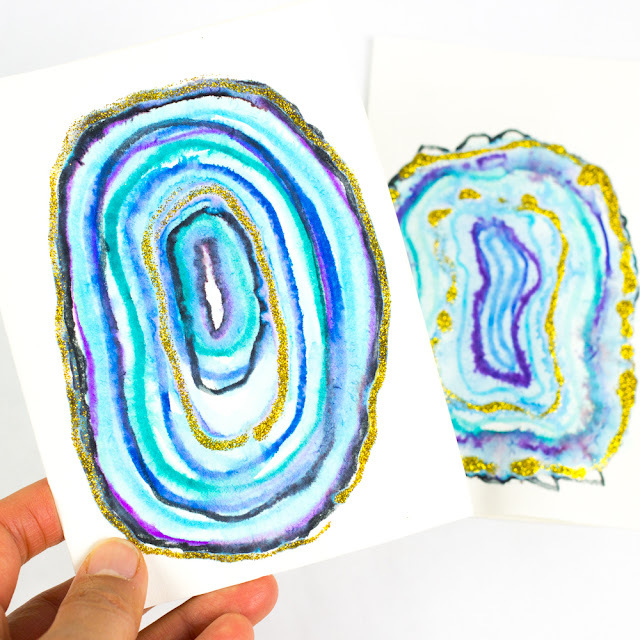 Don't forget to draw the thin crusty rock outline on the outside of your geode! For that last bit of oomph, use some glitter glue and just trace over your geode. This adds a touch of glamorous sparkle. 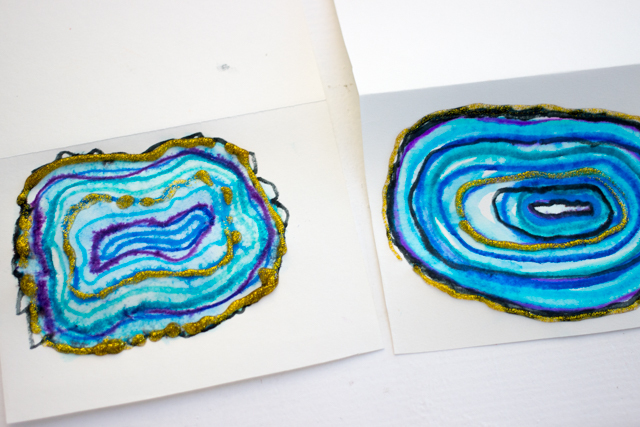 Wait till the glue dries and you'll love the results! Hope you enjoy trying this easy art projet out with your family too! 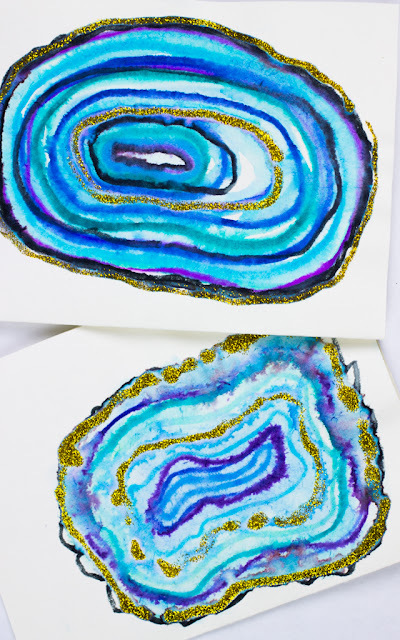 Looking for more pretty nature-themed crafts?